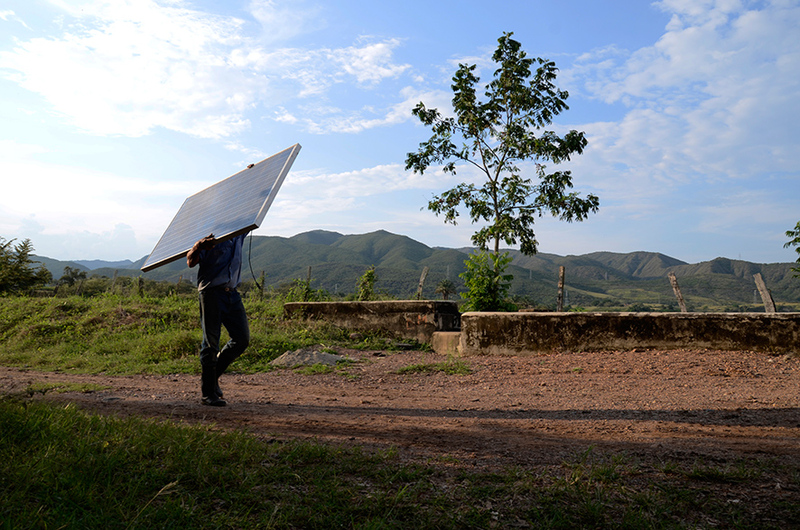 More than half of Colombia’s territory is located outside the National Interconnected System, which means that people living in these areas are dependent on alternative solutions to get access to electricity. Since the grid extension to these regions is too expensive, other decentralized and off-grid solutions are required. 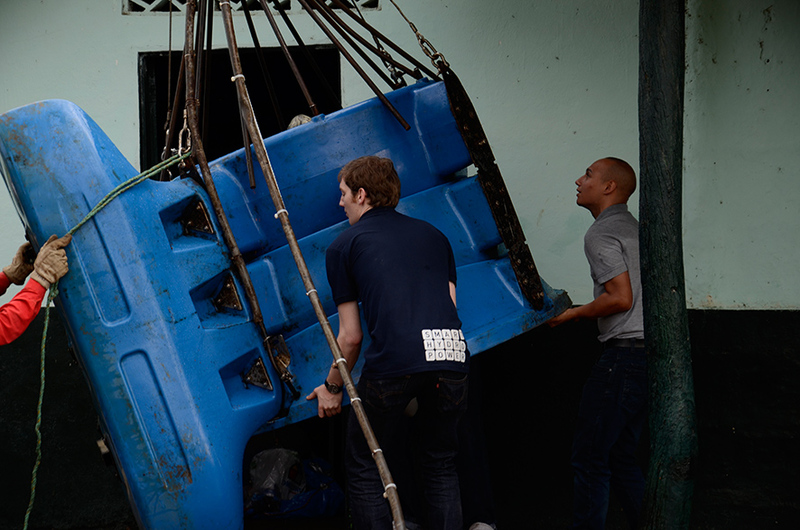 Within this scenario, the Colombian government has promoted the development of projects using renewable sources of energy. Many of the decentralized energy projects already implemented in this country have shown the high efficiency of renewable energy hybrid systems such as solar combined with diesel, which can be designed to suit the demand of a specific location. Since Colombia is a hydro-powered country and many of these locations are close to water sources, the addition of base-load hydro generation is an interesting option. This can significantly reduce the initial investment and the kWh costs, making the hybrid systems even more attractive, especially when linked to productive use such as food processing and irrigation. 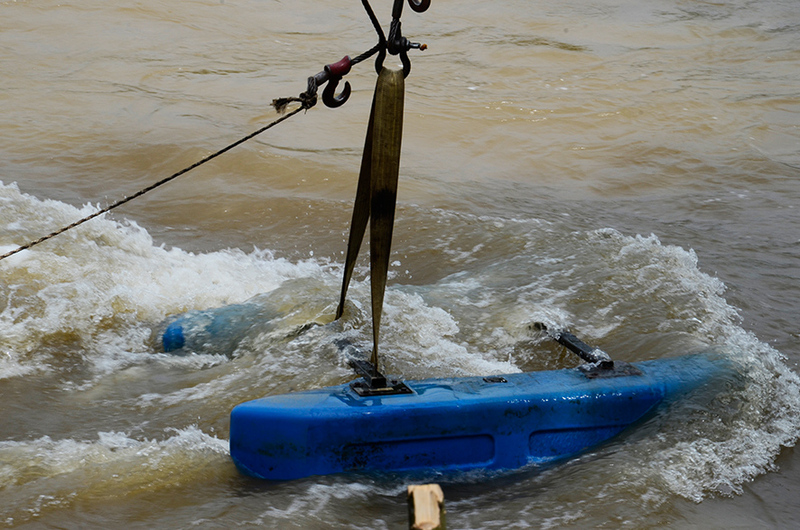 This is the proposal from Smart Hydro Power GmbH, a German hydrokinetic turbine manufacturer that develops complete and standardized solutions for decentralized electrification. After four years installing its turbines in the most remote locations all over the world, the company has developed a proprietary technology that changes the scene by adding base-load supply to renewable energy systems, turning them more efficient for a better monetary value. 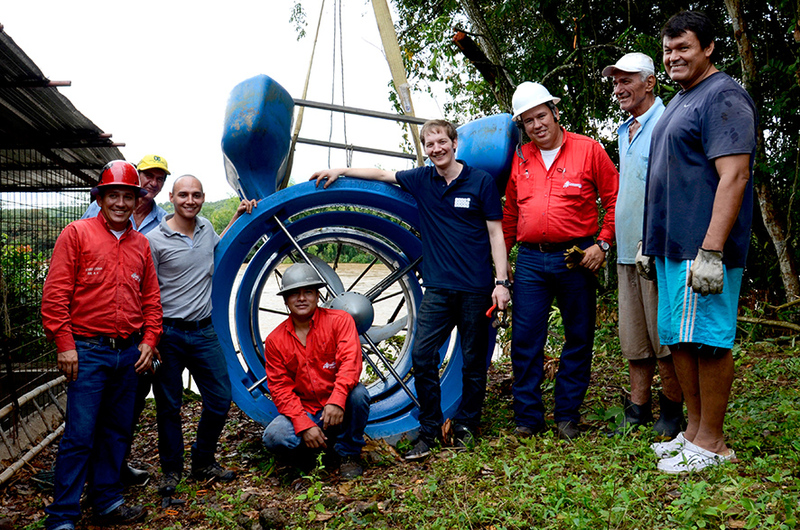 In order to show the functionality and the economic advantages of combining the SMART Hybrid System with irrigation, Smart Hydro Power GmbH, through a partnership with the Colombian company ENERA SAS and the support of the German Energy Agency (dena), is stepping into the agricultural market in Latin America this year. 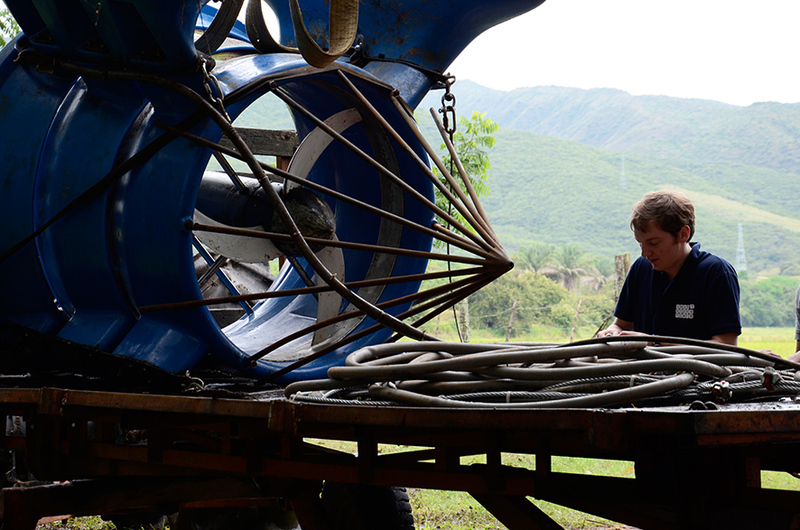 The project chosen for this market entry is in the region of Neiva, Colombia, where this system will replace diesel irrigation pumps in a rice farm. The modular SMART Hybrid System consists of a hydrokinetic turbine, photovoltaic panels, and a backup diesel generator and can be installed up to 50 kW. These three complimentary sources use sophisticated control systems to ensure stable electricity generation. The system was developed to offer a continuous, convenient, and scalable renewable energy solution that is affordable in developing countries. 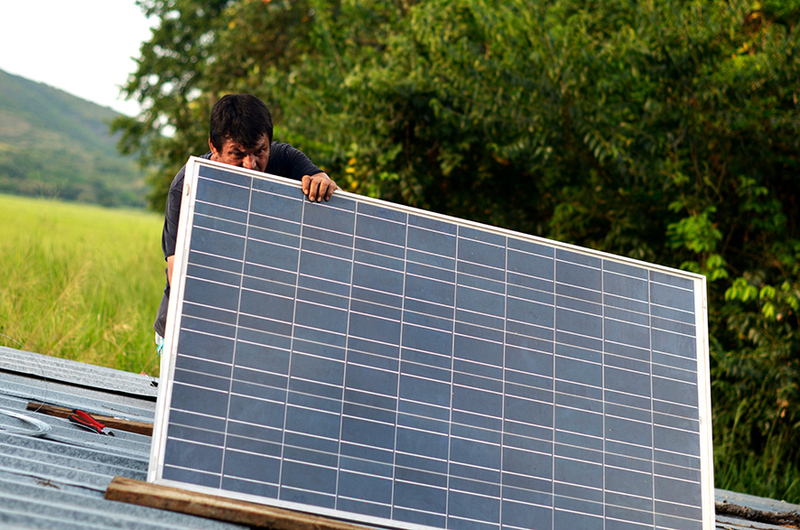 The application of this hybrid system in agriculture is essential for the region since the farms at the upper Magdalena River often lack of grid connection but have a close proximity to water sources. On top of that, agriculture is one of the sectors that suffer the most with the climate change. 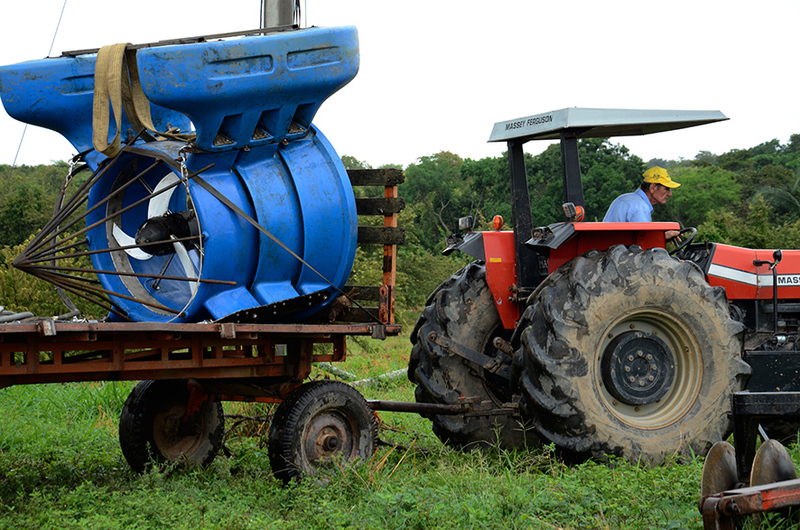 Along just the river Magdalena, it is estimated that hundreds of farms are dependent on diesel for irrigation. 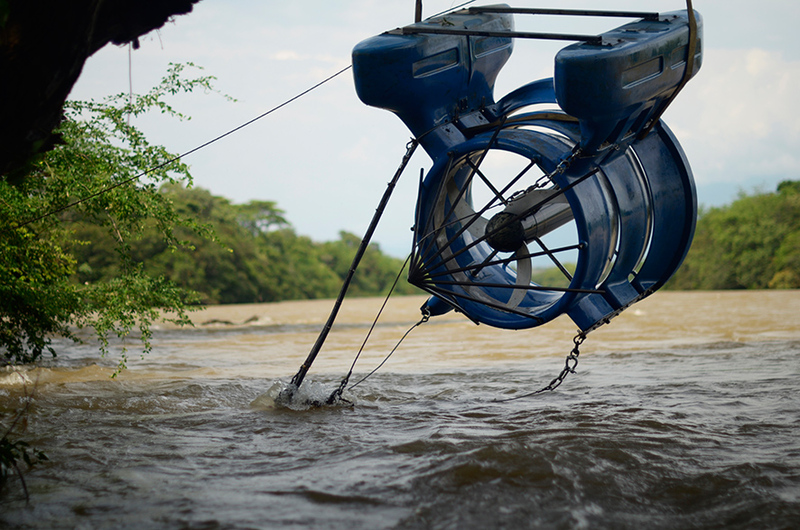 In Neiva, rice farmers beside the river are not connected to the national grid, but instead use highly inefficient diesel pumps, spending large portions of their costs on energy. 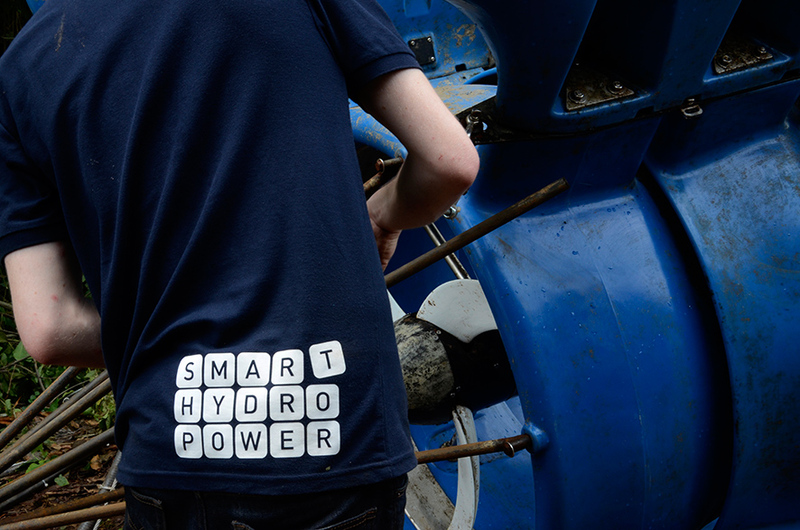 With the base load supply of the hydrokinetic turbine, the SMART Hybrid technology is the most suitable to power an irrigation pump in order to decrease the cost per kilowatt-hour by approximately 50%, compared to a diesel generator. ENERA SAS is a Colombian company dedicated to the management of sustainable energy and automation projects, providing lasting solutions with the use of non-conventional energy sources and energy efficiency optimization. Smart Hydro Power GmbH develops and commercializes affordable and environment-friendly solutions for rural electrification. 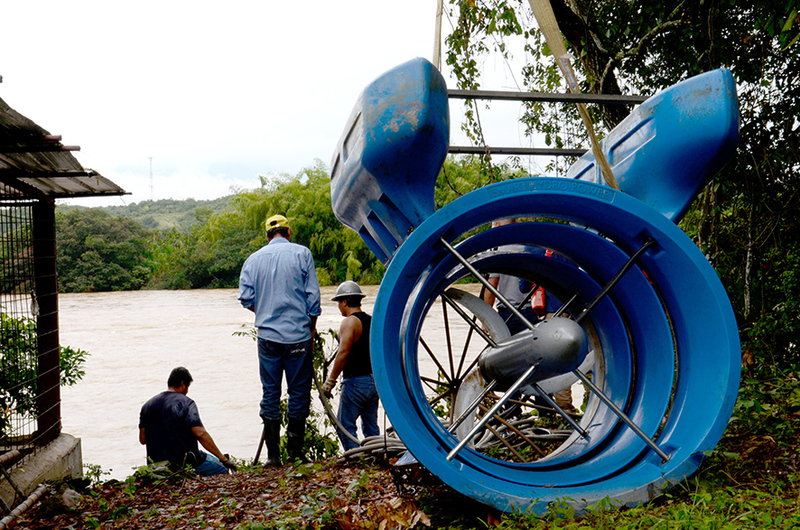 The core product of these solutions is a kinetic micro hydropower system (river turbine). This proprietary technology is standardized and easily scalable. Deutsche Energie-Agentur (dena): The Deutsche Energie-Agentur (dena) – the German Energy Agency – is Germany’s centre of expertise for energy efficiency, renewable energy sources and intelligent energy systems. dena’s aim is to ensure that energy is used in both a national and international context as efficiently, safely and economically as possible with the least possible impact on climate. dena is working with stakeholders from the worlds of politics and business and from society at large to achieve this aim. Shareholders in dena are the Federal Republic of Germany, KfW Bankengruppe, Allianz SE, Deutsche Bank AG and DZ BANK AG. www.dena.de/en. Renewables – Made in Germany Initiative: The “renewables – Made in Germany” brand represents innovative, practical and efficient technologies and services which use renewable energy sources in a variety of ways, ranging from rural electrification to industrial-scale power stations. “renewables – Made in Germany” also contribute significantly to climate protection promoting the worldwide acceptance and use of renewable energies. It is the official aim of the German government to make a significant contribution to international climate protection. Therefore, the government has been actively supporting the world-wide dissemination of cutting-edge German renewable energy technology and know-how since 2002.